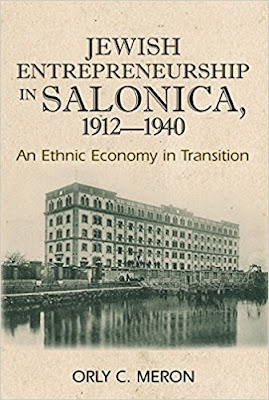 In January 18, 2018, John N. Vasilakos, made a post in our Hellenic Genealogy Geek Facebook group about this book. It looked so interesting I decided to order a copy through my local public library's inter-library loan program. Below you will find a Description of the book, the Table of Contents, and a list of 1,548 Jewish names and Jewish firms mentioned in the book.